GetRecD Events - Get Recreational while DIRECTLY supporting cancer patients. Make a donation in memory of a loved one. Their name will live on our “Legacy Page” and your donation will assist someone in need. Click here to make a donation and send a message. View the Legacy of Love Page by clicking here. GetRecD’s founder, Laura Daly, was awarded with the Character Leader Award at the York Region Character Community Awards in April. This award represents all the hard work and dedication GetRecD has for it’s community members. 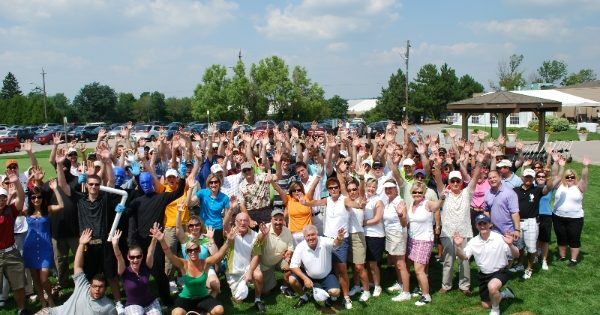 GetRecD Events is a not for profit organization that hosts recreational and special events, to get the community active, while raising funds to DIRECTLY support cancer patients. We have one employee, work remotely so there is no rent to pay and we have no overhead costs! This means more funding goes DIRECTLY to our patients in the form of, gas cards, groceries, house cleaning, homemade meals, parking at hospitals, etc. To date, we have raised over $450,000 and donated numerous laptops and DVD players to cancer centres throughout Canada. View our 2014 Newmarket Chamber of Commerce Intro Video to find out more about GetRecD. Click here to read “Our Story” to better understand our mission and the reason why we are here. Any donation is much appreciated and will go directly to a patient and family in need. If you know of an organization that has items that may assist with filling our battle baskets, we would gladly accept items as well. OR Email transfer to laura@getrecd.org. If you want to send a cheque, please email laura@getrecd.org for the address. We look forward to seeing you at one of our events. Come GetRecD With Us! find some selections that you can choose from, to help assist a patient and their family in need[...] Read more. Inaugural year, with property to grow our own food and give to our patients. Mark Watson, Landscape and Stone Mason Professional, will lead us in this project and set us up for success.[...] Read more. There are also many other ways that you can join us on our mission to find a cure for Leukemia, while assisting patients and their families during their battles.[...] Read more.